The best PSVR games are just getting started. 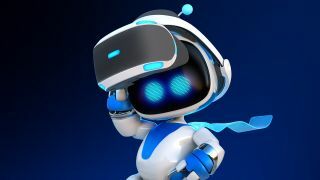 Over the last year we've seen a renaissance in high-quality titles for Sony's approachable virtual reality headset, not to mention some classics that remain from closer to launch. We've run down all of the best PSVR games out there to present you with a definitive list of 10 titles that are all worth popping into your PS4 and plopping onto your noggin right now. This list highlights games that are exclusively playable in VR, as well as games that support standard-screen modes, as long as they offer some significant VR experiences. We've also included info on which controllers you'll need to play each game, so you'll know whether to bring your DualShock, Move, or Aim controller along for the ride. Pixel Ripped 1989 is about a kid who is so utterly absorbed in her chunky handheld gaming system that she can't even stop playing when she's at school. Instead, you'll need to divide your attention between the retro platforming action on your handheld and whatever's actually going on in the real (virtual) world. Sometimes that means firing spitballs around a classroom to keep your teacher too distracted to notice you're playing games in class. Sometimes your game bleeds into the rest of the world too, resulting in surreal mixed reality Duck Hunt hyjinx. Pixel Ripped is only a few hours long, but that's about as much time as it needs to thoroughly explore its nostalgia-fired premise with a few surprises to boot. If you've played Superhot, you probably already have a good idea of how it would work in VR. If you haven't, this is the perfect place to start. Superhot plays more like a puzzle game than a frantic shooter because time stands (almost) still, except when you move. This gives you plenty of time to figure out how the heck you'll survive a room full of glowing red goons unloading rifles and shotguns on you. Usually the answer involves a good deal of Matrix-style bullet dodging, throwing bottles, and snatching guns out of the hands of fallen opponents. Whatever solution you come up with, you will definitely feel like Neo. Resident Evil 7 was one of the first big-budget games to make a dedicated VR mode a priority, and it remains one of the most gripping experiences you can have with a PSVR headset strapped to your face. There are some sacrifices from the standard version, of course - the visuals aren't quite as crisp, and some parts of the game (like cinematics) are clearly meant to be experienced on a two-dimensional display. But the raw horror of feeling like you, not a video game protagonist but you, are exploring this horrible place and encountering these awful creatures is worth the tradeoff. There isn't much to Accounting Plus aside from nihilistic comedy: you poke objects, pick them up, or put them together until something happens. But there is a lot of nihilistic comedy. Anyone who has watched Rick and Morty will clock the humor and voices of Justin Roiland, the cartoon series' co-creator, though Accounting Plus only directly references Rick and Morty with a few cynical jabs. You'll bumble through a series of loosely connected scenes as characters played by improv comedians shout at you about what a mess you're making, and there are even some secrets to discover that walk the line from tricky fun to bleak terror. It feels like a bad trip but in a good way, you know? Falcon Age is a game about fighting oppression with your wits, your tools, and your cute bird friend. It's also a game about collecting hats and toys because you love your bird friend with all your heart and want to see what they look like as a little cowboy. The game is playable both in and out of VR, but for the best experience you'll keep your headset firmly planted and your Move controllers ready. You spend your time in Falcon Age traveling from your home village to various sites that have been occupied by robot colonizers. Your falcon can distract enemies, allowing you to follow up with a finishing blow from your own minimal kit of weaponry. Then on the way back you can have your bird buddy retrieve distant goodies so you can cook it stat-improving treats. You know what, forget the first two things I said at the start of this paragraph - it really is all about that bird. Ok, for starters, the hero of Moss is a brave, tiny mouse and she is adorable. You control her with the DualShock 4 controller like you would any other action game, but you are several feet up and away as this creepy/cool Miyazaki-inspired forest spirit thing. The physical object that is your controller becomes an in-game tool to manipulate parts of the environment as you clear the path for your little mouse pal. Lots of games star animals, but the sense of scale Moss gives you as you peer around and lean into the scene makes it feel like you really are watching a particularly clever mouse scamper across the forest floor. There's no better online multiplayer shooter on PlayStation VR than Firewall Zero Hour. Actually, there's no better online multiplayer game on PlayStation VR, period. Think of it like Rainbow Six Siege with less wall-exploding and way more feeling like you're actually there. Military buffs will squeal with tactical delight as they sight down their authentic-looking firearms with a PSVR Aim Controller while more casual players can do just fine with a good old DualShock 4. Either way, you'll get to enjoy tense, tactical matches that encourages communication and teamplay. Describing Tetris Effect feels painfully reductive: you play a standard game of Tetris in the foreground while a bunch of strange stuff happens around the board (and you) . It's basically a playable music visualizer. Like I said, it doesn't sound like much, but it feels fantastic to play in VR. All the space whales and freaky fire monks and pounding music are enhanced by the fact that you're too busy stacking blocks to pay attention to them: they light up your peripheral vision and respond to big line clears, promoting both focus and a sense of place. Tetris Effect is fully playable outside of VR, and you may want to try it that way if you're going for an endurance run, but there's nothing like submerging yourself in its strangely beautiful worlds. What if, instead of a floating robot that shot pain rays, Luke Skywalker trained with a bunch of Tron polygons to the sound of throbbing EDM? That's pretty much Beat Saber. Your left hand controls a red saber and your right hand a blue one, and you must artfully swipe them through an advancing line of cubes. The beat of the song dictates when cubes of each color appear and also which direction you have to cut them. Keeping all that in mind while your arms instinctively swing about drops you into a deep focus state, not to mention promoting some pretty good cardio.